What affects the oceans affects terra firma. 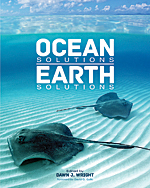 Ocean Solutions, Earth Solutions gathers the insights of more than 50 ocean and coastal science researchers exploring ocean components and their relationships, patterns, and trends over time and space. 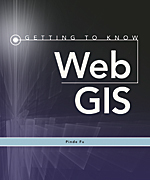 The book’s 16 chapters highlight GIS best practices and include additional online resources. The book is edited by oceanographer and Esri chief scientist Dawn J. Wright and features a foreword by oceanographer David Gallo, director of special projects for the Woods Hole Oceanographic Institution in Massachusetts. July 2015. 550 pp., Paperback ISBN: 9781589483637 and e-book ISBN: 9781589483651. 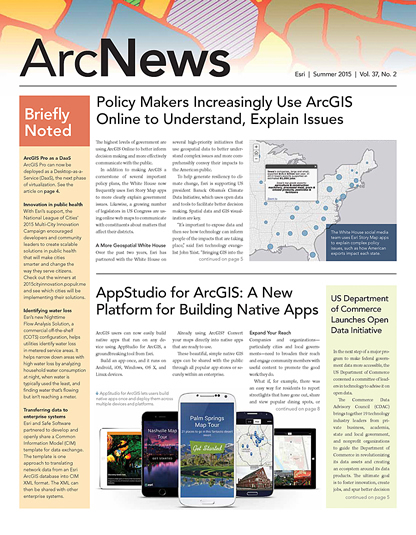 Getting to Know ArcGIS is a comprehensive introduction to the features and tools of the ArcGIS platform. Through hands-on exercises, readers will discover, use, make, and share maps with meaningful content. 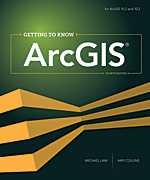 The fourth edition includes new exercises on map sharing and georeferencing; new datasets and scenarios; and an introduction to ArcGIS Pro, a powerful new part of ArcGIS for Desktop. The book is suited to classroom use and independent study and as a reference. Data for completing the exercises and a 180-day trial of ArcGIS 10.3 for Desktop are available for download at esripress.esri.com/bookresources. July 2015. 768 pp., Paperback ISBN: 9781589483828 and e-book ISBN: 9781589484283. 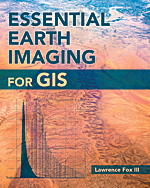 Essential Earth Imaging for GIS is a technical reference guide for using imagery with GIS software. Readers will learn about the characteristics of earth images obtained from aircraft and spacecraft, as well as how to enhance, register, and visually interpret multispectral imagery and point clouds. Understanding these fundamentals will allow readers to effectively use existing imagery and exploit future imaging technologies. The book’s conceptual information is reinforced with online companion exercises available at esripress.esri.com/bookresources. July 2015. 226 pp., Paperback ISBN: 9781589483453 and e-book ISBN: 9781589484313.